The so-called National Living Wage, first announced last year, was offered up as proof that the Tory government was, in fact, on the side of working people. The National Living Wage (NLW), which went into effect on April 1 of this year, was essentially a mere rebranding exercise of the National Minimum Wage, which now stands at £7.20 an hour. Never mind that it excludes those under 25, many of whom already work in minimum wage jobs. Never mind, too, that an independent organisation has calculated that a true Living Wage — pay that’s enough to live to a modest but decent standard of living — is £9.40 in London and £8.20 in the rest of the UK, well above the government’s NLW. But even the pay rise that chancellor George Osborne introduced in his July budget last year – the pay rise that he said “Britain deserved” – has not materialised the way it was promised. Several large companies already making millions in profits have clawed back the NLW pay rise by cutting back on other elements beyond basic pay, such as overtime pay, Sunday pay, paid breaks, free meals and other perks, the Guardian reports. DIY giant B&Q is one company that’s clamping down on other benefits for their workers in order to offset the new rise in the minimum wage. It wrote to staff in February that, while it planned to raise minimum pay for all workers to £7.66 an hour, 46p above the government’s new mandated minimum, it would cut extra pay for working on Sundays and would reduce bank holiday pay as well. While many workers received double pay for Sundays, they now will receive only time-and-a-half. Labour MP Siobhan McDonagh called a backbenchers’ debate yesterday (April 19) to discuss the effects of the National Living Wage, inspired by a constituent who had contacted her describing how they are set to lose out as a B&Q worker. The constituent will reportedly be an astounding £2,000 a year worse off under the changes. Other B&Q workers McDonagh has met have said they will also lose out, including one who will see their take-home pay plummet by 30 per cent. After a petition signed by more than 100,000 people against the changes to pay and benefits, B&Q backtracked, saying last week that it would extend compensation for two years and will enter into further negotiations over pay packages. Waitrose too has announced a cut in Sunday pay and overtime rates for all new workers. Tesco has reduced Sunday rates from double time to time-and-a-half, while Morrisons ended extra pay for Sundays as well as paid breaks. Companies elsewhere are also ending paid breaks in an effort to offset the cost of the National Living Wage, including at Toyoda Gosei, a car parts manufacturer with sites in Swansea and Rotherham. Another perk being removed for workers is free meals – just last week, Caffe Nero has said it has ended giving staff free food and drink, and now only offers a discount. John Lewis and Asda have also withdrawn food perks. Siobhan McDonagh argued that the government must ensure that companies aren’t shirking their duty to pay the NLW by making backdoor cuts. She also highlighted that businesses are already benefiting from cuts to corporation tax, which was announced at the same time as the National Living Wage and will fall from 28 per cent in 2010 to 17 per cent by 2020. This tax break is said to benefit business by £15bn. “If business is getting £15bn, the people who help them make their profits deserve a bit of that,” she said. Unite assistant general secretary Steve Turner agreed. “The increase in the legal minimum pay for some of our low paid workers will be a boost to those it has helped – but make no mistake — the government didn’t hike the minimum wage to benefit workers, it is to try and distract from the detrimental impacts on workers, those who claim benefits and use public services that all of their other policies have resulted in,” he argued. “This is a government whose economic failure means that the average wage is still worth £2,000 less than before the financial crash. “The new so-called National Living Wage is nowhere near an actual living wage, as calculated by the Living Wage Foundation which now stands as high as £9.40 in London and £8.20 elsewhere. “We are now seeing companies who are withdrawing other benefits, reducing hours and trying to end extra pay for working weekends and other unsocial hours because they say they can’t afford the government’s new minimum wage. “In many cases they are being completely disingenuous —large companies that are making substantial profits already will be benefiting from £15bn in tax breaks in any case. It means that workers see no change in their take home pay but profits are further increased. “The government has a role to play in protecting and supporting the lowest paid workers but instead it punishes them,” he added. Turner pointed to changes to Universal Credit (UC), which will see even those in work, but who aren’t able to work enough hours, being sanctioned — their only lifeline being cut as they struggle to make ends meet in low-paid work. “Where, also, is the so-called tipping practices report that the business secretary Sajid Javid said he would publish?” Turner went on to say. “The consultation on an investigation of these practices — which see some restaurants and hotels pinch 8 per cent or more of waiters’ credit card tips — ended six months ago. The time for excuses is over. “Add this to other instances of the government diluting or flat-out annihilating worker protections — scrapping the Agricultural Wages Board (AWB) in England or weakening the Gangmasters Licensing Authority (GLA) come to mind. 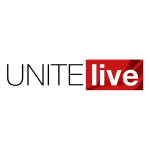 “We at Unite argue that a much higher mandatory minimum wage, in line with a true Living Wage, is not only entirely affordable but will be beneficial for the whole economy,” he said.